A Labor Certification is not required. You may petition for a green card with U.S. Citizenship and Immigration Services (USCIS) on your own behalf (Self-Petition). It must be made manifest that a petitioner is seeking employment in an “area of substantial intrinsic merit”. A waiver petitioner must effectually demonstrate that the national interest would be adversely impacted if a labor certification were required to be obtained for the alien worker. The process of labor certification exists to protect U.S. workers from foreign competitors. If any U.S. worker is available for and meets the minimum qualifications for the job, the employer will not be granted an alien labor certification. The INS is resolved in its determination that “an alien seeking exemption from this process must present a national benefit so great as to outweigh the national interest inherent in the labor certification process”, and further states that “with regard to the unavailability of qualified workers, the job offer based on national interest is not warranted solely for the purpose of ameliorating a local labor shortage”. Candidates for a NIW must fulfill the requirements of a person possessing “exceptional abilities” in the sciences, arts, or business fields, or be an advanced degree holder. Official academic records proving the petitioner has a degree, diploma, certificate or similar designation from an accredited college, university, school or other educational institution, related to the field of exceptional ability. Documentation spanning ten years minimum, of full-time experience in the designated field. A current license or certification to practice the profession or or occupation. Evidence of financial compensation for services which demonstrate exceptional ability. Proof of recognition for achievements, significant contributions or awards in the industry or field, granted by peers, educational institutions, government entities, professional or business organizations or clubs. If the above standards do not apply, the USCIS reserves the ability to accept comparable evidences of eligibility. Classification as a person holding an advanced degree requires you possess a master’s degree or a bachelor’s degree with a minimum of five years progressive post-bachelor degree experience. It is important to remember that correctly presenting yourself as a person with exceptional ability or, determining if your experience will count towards the five year minimum can be complicated and it is highly recommended that you pursue your case with legal assistance to ensure that you are pursuing the most beneficial strategy. Improving wages and working conditions of U.S. workers. Improving education and training programs for U.S. children and under qualified workers. Unique Knowledge and Abilities: The burden of proof is to demonstrate that you possess unique knowledge or abilities that set you apart from other professionals, and your level of expertise will be used in ways that significantly benefit the United States of America. Adversely Affects the Nation: The national interest must suffer a negative impact if a labor certification were required. It is imperative to submit adequate proof that your contribution is significant, so much that the time taken to navigate the labor certification process would severely impair national interest. The National Interest Waiver application process outlines specific documentation you will need to have prepared. It is highly recommended that you work with your own legal counsel to ensure that you are submitting evidence that bolsters your case. Current CV or resume meticulously detailing employment and research history. Include addresses and exact dates of employment duration. Copies of degrees, certificates and transcripts. Provide certified or notarized copies. Letters of recommendation from peers, colleagues and other authorities in your field. It is highly recommended that you submit copies of their CV or resume as well. 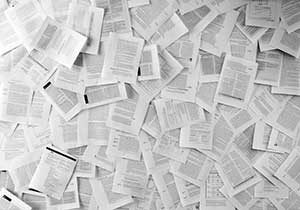 Copies of articles that you have written. Copies of articles or publications where your research has been cited. Copies of academic or professional awards you have received. Annual Salary and compensation package details. If you are interested in discovering whether you may qualify for an EB-2 National Interest Waiver, call KPPB Law or contact us online. Our firm is equipped to process any petition for permanent residency, with experienced attorneys who can help you determine what type of petition is most suitable and favorable to you. U.S. Immigration laws and procedures can be confusing, time consuming and expensive. Our law firm is committed to evaluating your situation carefully, saving you time, money and the frustration of delays or unnecessary denials.